Lavender is one of the most used scents in feng shui since it is known to promote good health and happiness. This scent works splendidly in a room designed for relaxation. In addition, use lavender aroma to energize and uplift the mind and spirit. A bedroom, meditation room, spa-like bathroom, or office are rooms where you may want to use the pleasing scent of lavender. 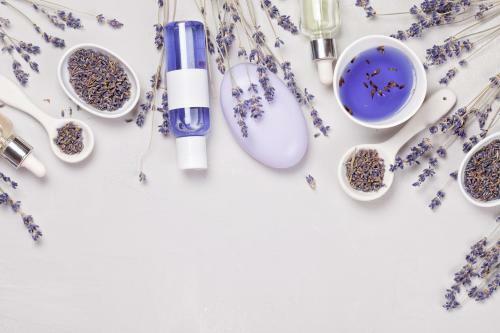 Lavender scents are versatile since they can be both relaxing and energizing. Choose a desired effect and apply with feng shui principles to create the atmosphere you desire. Since feng shui is focused on balancing energies and elements, you may want to adjust the color, positioning of furniture and objects to create an environment that is positive and easy to live in. Using lavender scents and essential oils can improve your personal chi, which can result in an increase of positive energy. This scent can also achieve the same results for your home. This is especially important if you feel that your overall home environment is not in good chi balance. A chi imbalance can lead to poor health and a decrease in energy. This scent can assist in moving stagnant chi and ease the symptoms of depression. When your mood is lifted and the balance of chi energy in your body restored, then it flows unblocked. Chi energy is made up of both yin (female) and yang (male) energies. The goal of feng shui is to make sure the two energies are balanced. Lavender scents are considered yin (female) energy, which are receptive, passive, and calming. Yin energy governs the bedroom. Using colors from the yin palette, such as lavender, for your bedroom design maximizes a relaxing environment. Lavender colors and scents are also ideal for spa-like bathrooms and meditation rooms. For true feng shui to take effect, you need to incorporate furniture design and placement so the chi energy attracted by the lavender can move freely about the room. The bedroom is an ideal location for using lavender since it is also known to promote a better night's sleep. It is a place to unwind and collect your thoughts. The simplest way to use lavender for relaxation is to burn a scented candle in a softly lit room and either meditate or ask your significant other to give you a massage. You can use a lavender eye pillow, a candle, or essential oil to introduce the scent into the bedroom. In feng shui, color can play an important role. For example, a pale purple color not only relaxes and calms, but can also improve your overall mental health and promote physical well-being. Don't overlook your bathroom. Feng shui consultant, Ken Lauher, suggests adding lavender to a bathroom to give it a spa-like feel. Place small pots of the herb to add a sense of calm, while offsetting the element of water in the bathroom. There are a few feng shui rules that you must be mindful of when using fresh flowers. Never place flowers or plants in a bedroom. The yang energy of fresh flowers and plants can be disruptive in a yin environment. The only exception is the bedroom of someone ill. The intense yang energy of lavender flowers can be very beneficial for healing the weakened chi of illness. Also, avoid using dried flowers even though the energy may be yin; it's also dead energy. You may wish to use fresh lavender bunches in a home office where the energizing yang energies would be beneficial. This energy can help you to think clearer and work more efficiently. In feng shui, it is better to keep flowers in bunches rather than single stalks. Be sure to throw out the flowers as soon as they start to die. Keep the water clean to avoid stagnant chi. Some feng shui practitioners believe that placing packets of lavender in a closet can act as a temporary cure for a cluttered closet. This practice is used to attract chi energy into disorganized areas and diffuse stagnant chi until the closet can be cleaned out and freed of clutter. Just remember that the only true cure for stagnant chi energy is to remove the clutter completely. Organizing to relieve yourself of clutter. A lavender candle burning right there on the desk is sure to energize you, and if your desk is devoid of clutter, there is less of a risk for fires, knocking over the candle, or forgetting it's there and that you need to put it out. Lavender scent thrown your way directly from a fresh lavender plant is a great way to liven up your office; you'll have the scent plus the additional energizing benefits of fresh flowers. Fresh lavender is ideal for combining with feng shui, especially in an office. For home, you may want to try storing lavender sachets in your linen closets with your bed sheets. Create a higher level of enjoyment of the scent by choosing lavender, blue or green sheets. The aroma and color combination will take you directly into sleep. There are many products on the market scented with lavender. From air sprays to oil diffusers, there are ways to disperse the scent throughout your home. 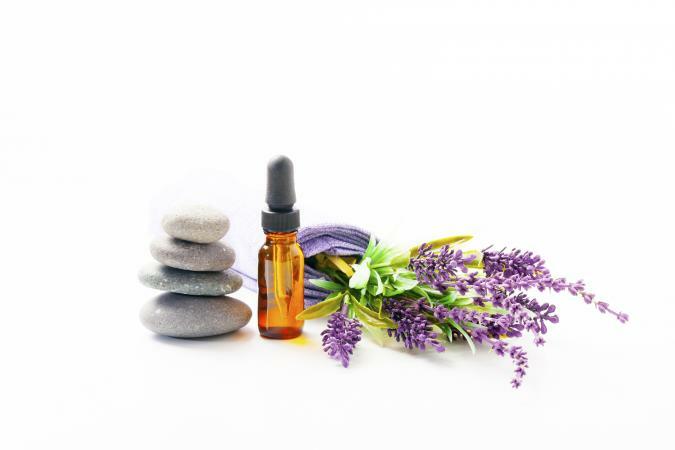 Lavender is a versatile scent when it comes to aromatherapy and feng shui applications. Make sure the elements, furniture, objects and cures in your room are balanced for the best results and lasting effects. By being aware of these feng shui principles, you can create a pleasant atmosphere full of beneficial chi energy to bring you health and happiness.